There might not be an Indian home where mango lassi is not prepared. During mango season, this is a regular in every home. You can add little cardamom and saffron too and they complement mango lassi very well. 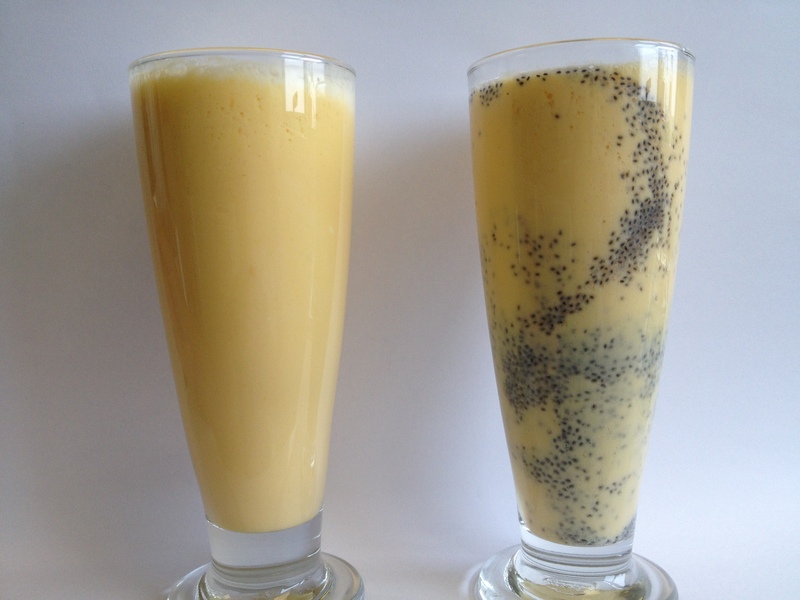 I added chia seeds to my glass of lassi as these are my latest craze. Chia seeds /sabja seeds are a complete source of protein providing all the essential amino acids in an easily digestible form. Just add a tsp of chia seeds to half glass of water. It will swell in no time. Blend mangoes, yogurt, ice cubes and water till smooth. Add milk and instead of yogurt to make mango milkshakes. 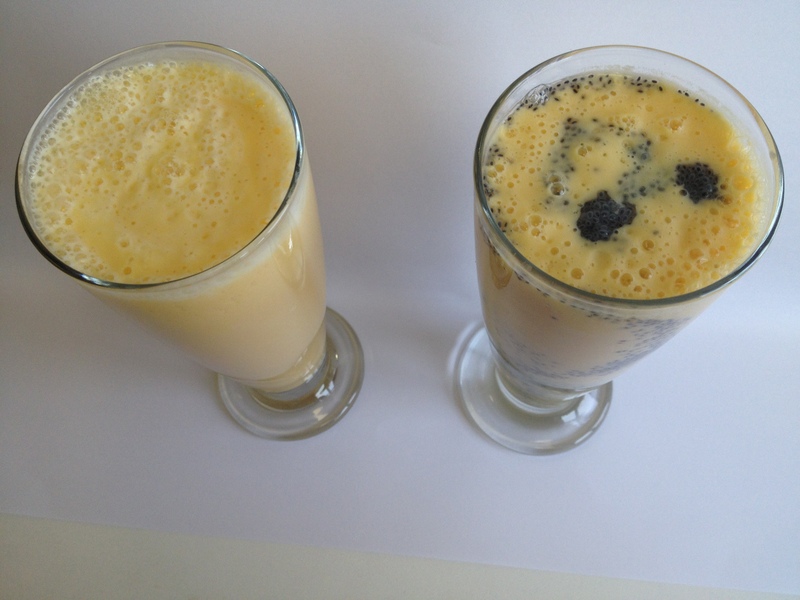 This entry was posted in Beverages and tagged mango lassi by PriyaBaby. Bookmark the permalink.